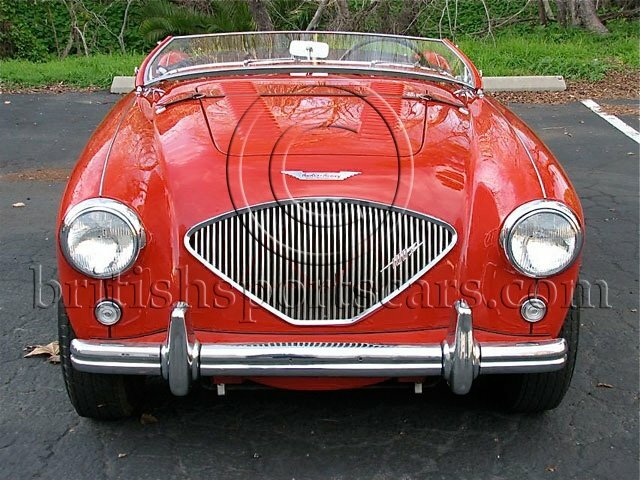 We are very please to have this 1956 Austin Healey 100/4 M Le Mans in our showroom for sale. This is a genuine factory Le Mans specification car that is believed to be the show car for the 1956 Brussels auto show. We are in the process of verifying this as being that car. The car is matching numbers and comes with a Heritage certificate to authenticate it as the real deal. There were very few of these cars produced and there are very few survivors on the road today. This car has been subject to a concourse ground up restoration by Fourintune www.fourintune.com. 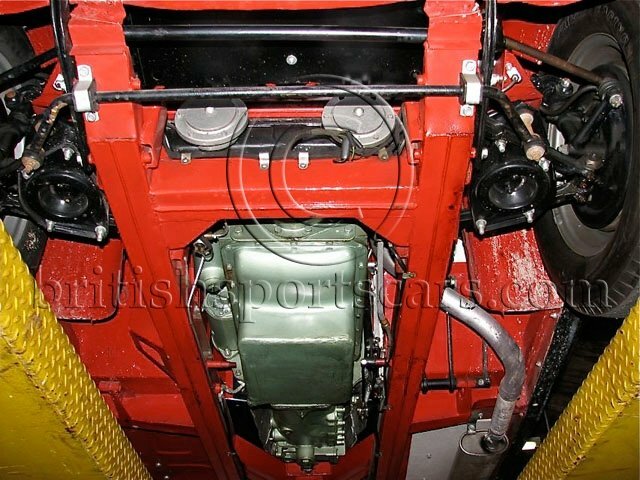 Fourintune is well know for first class Austin Healey restorations. We can vouch for there work after looking this car over because it is easily the nicest Austin Healey restoration we have seen. The car is an older restoration but it looks and shows like it was just restored. The paint and body is excellent with perfect gaps. 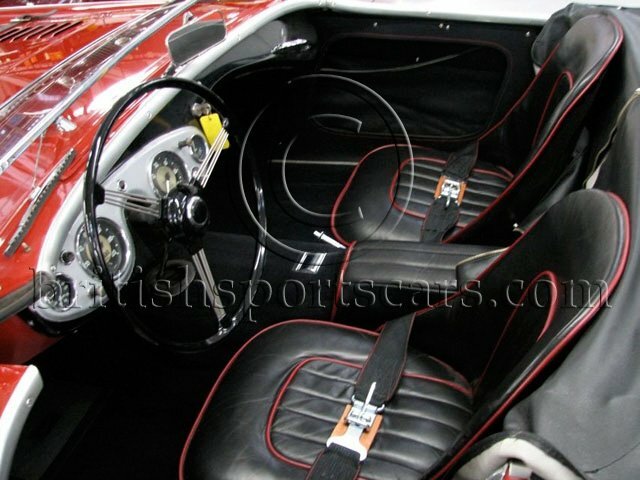 The interior is excellent and is done in a high quality leather. From the underside the car is just as nice showing carful attention to detail that Fourintune is known for. 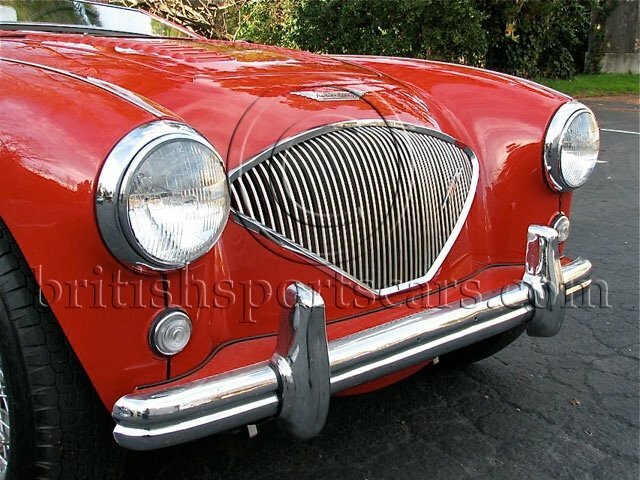 This car looks and drives like a new Austin Healey 100/4 Le Mans and is a real pleasure to drive. Ascetically there is not much difference between this car and a standard 100/4 but as soon as you fire it up and hear the note of that Le Mans exhaust you know you are in a special car. The car hugs to the road and you feel every dip and bump but it is a pleasure. The steering is very tight and the brakes are just what you would expect for a drum brake car. You have to fight the car just a little but all of this is what makes this car a 100/4 Le Mans. Here at British Sports Cars we get to see and drive all types of cars, but there are few cars that get us going as much as a perfectly restored Austin Healey 100/4 Le Mans. These cars are beautiful and are a pleasure to drive. Please feel free to ask any questions you may have.